Today, something a little different. 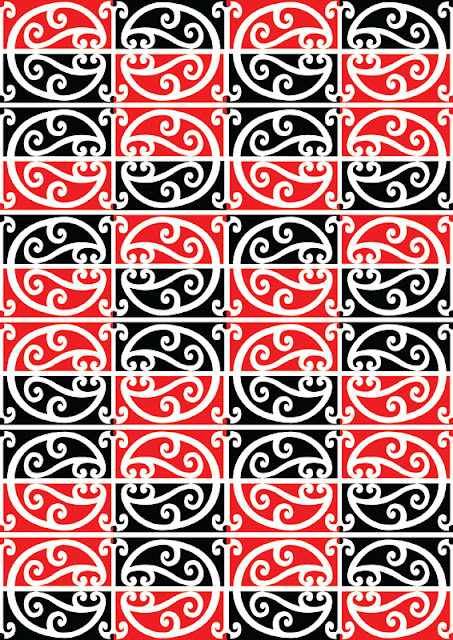 I have decided to highlight some contemporary innovative expansion of the traditional Maori pattern work from New Zealand/Aotearoa. It is the work of Mitch Manuel and is based on both the Koru, the symbolic curl representing the fern, as well as the Kowhaiwhai. Some of you may remember I produced an article about Kowhaiwhai a while ago, the article can be found here. 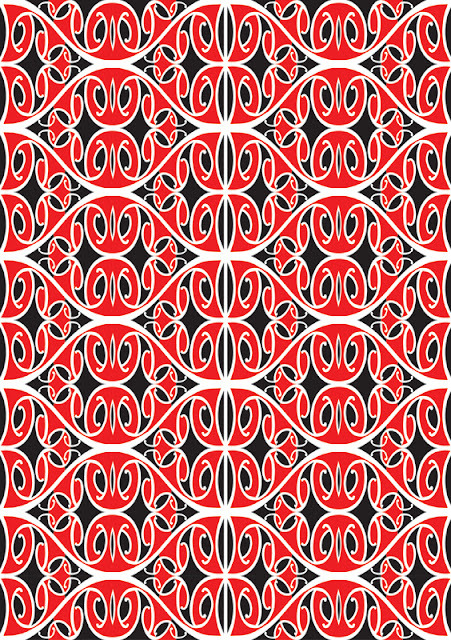 Mitch Manuel takes the Maori decorative traditions, deconstructs them, and then reconstructs them again, producing a completely new pattern range, with seemingly infinite possibilities of the decorative formula. This is probably the best of decoration, taking tradition, understanding its formula and importance, and then reinterpreting it not only for the individual creative concerned, but for a new generation of consumers. Decoration should always be seen as part of the contemporary world and not one only limited to the often locked world of past traditions. That we build upon the creative pathways of our ancestors should be a given fact, but we must also add our own unique footsteps to that journey. If we only pass down the traditions of the past, without adding any new innovations and creative reimaginings, then we become invisible and non-participants in the ongoing exploration of human decoration. Mitch Manuel is clearly part of that process, a process in which decoration is, and should be seen, as being as vital to the human condition as singing and storytelling, with as long a history and as long a potential future. 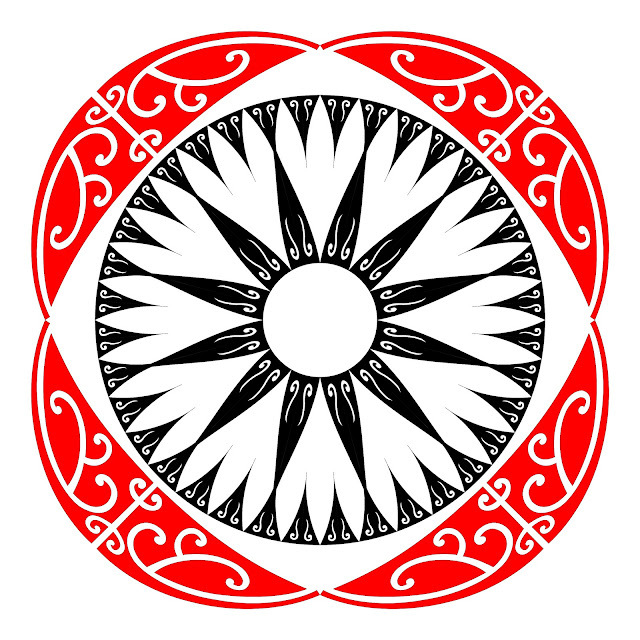 The following excerpt by Mitch Manuel explains in his own words some of the leading ideas behind his own personal interpretation of the Koru and Kowhaiwhai, as well as a wealth of inter-cultural influence and creative inspiration. From nature, our Ancestors found sacred geometry in the most fundamental of patterns. Like the fern frond, the Koru in which it takes its shape, is an expression of life. It is also an expression of Sacred Geometry. That is, mathematical proportions throughout nature which Maori have been developing for hundreds of years. The fern frond is the symbolic metaphysical principle, which shows our relationship to the whole. It is this totality that which is subversive in geometry, a reminder of our connectivity to nature, to each other and the whole, and is the foundation of all things in the Universe. 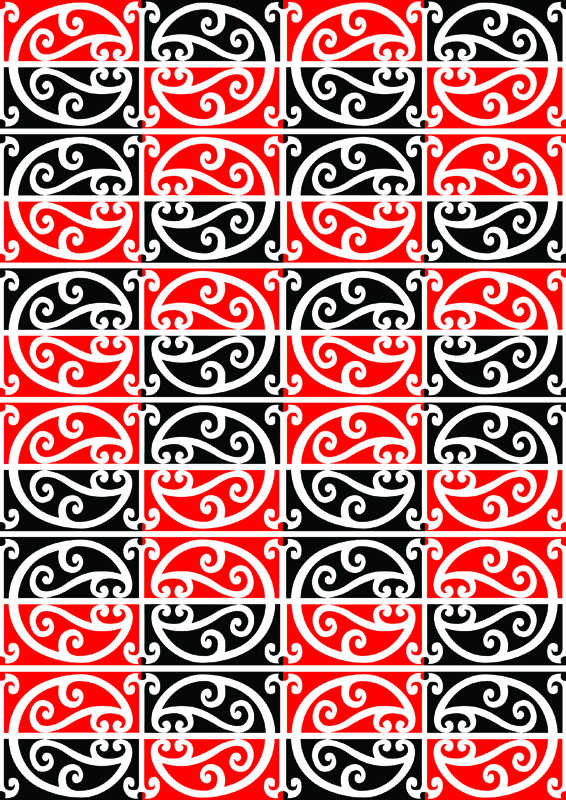 Koru has an innate relationship to one common mathematical belief. Introduced from the East to the Europeans in the thirteenth century and is recounted in the Fibonacci and Phi or what the Greeks called the Golden Mean ratio. The ratio being (1: 1.618). This is the basis for perfect geometry by dividing any of the Fibonacci numbers by the next previous number. This ratio is the so-called Fibonacci series where each number is the sum of the preceding number: 0, 1, 1, 2, 3, 5, 8, 13, 21, 34, 55, 89,144, 233, 377 and so on. The ratio of two successive numbers equals the Golden Mean. This creates a never-ending spiral from its core or its original point. From this point are a myriad of variations but the higher the sequence the closer are the two numbers to the Golden Mean. 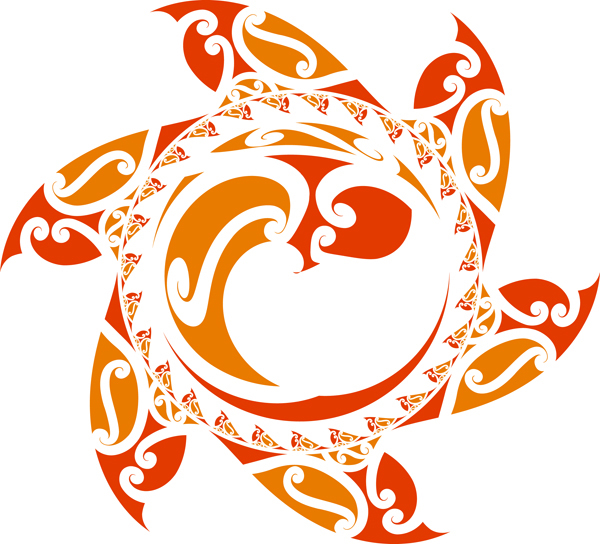 Putting the mathematical equations aside, how does the basis of Fibonacci visually link to the Koru again? If you were to connect the bottom right corner of a golden rectangle and link up to each successive number sequence from each bottom corner you would create a Fibonacci Spiral. The Spiral and Koru are one and the same. Leonardo Pisano or nicknamed Fibonacci lived from 1170 to 1240 AD and introduced these ancient principals to the West. He was considered 'the most talented mathematician in the middle ages'. In modern times Fibonacci has been used in film, art, literature, stock markets, music, knitting, mitosis, basket weaving and of course, nature. The list goes on and on. 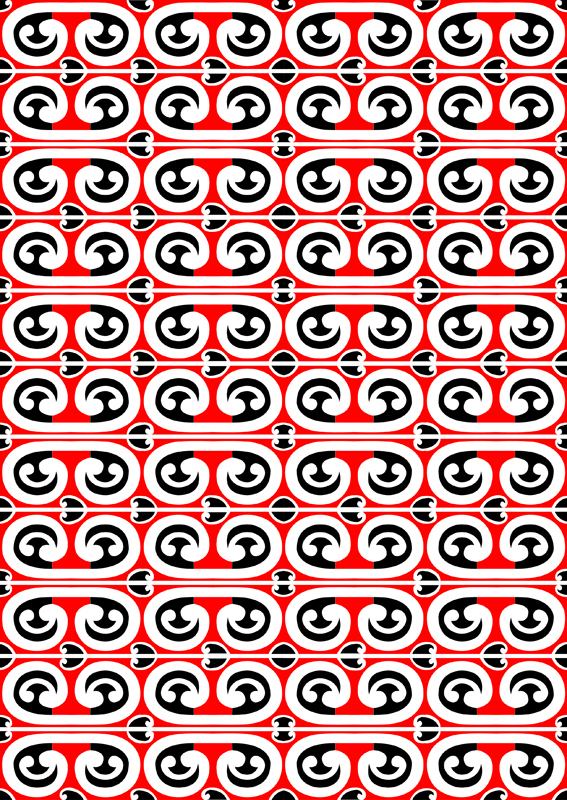 Fiboru (pronounced fe-bow-roo) are Koru and kowhaiwhai patterns, which are based on the link between Fibonacci and Koru - Fiboru. 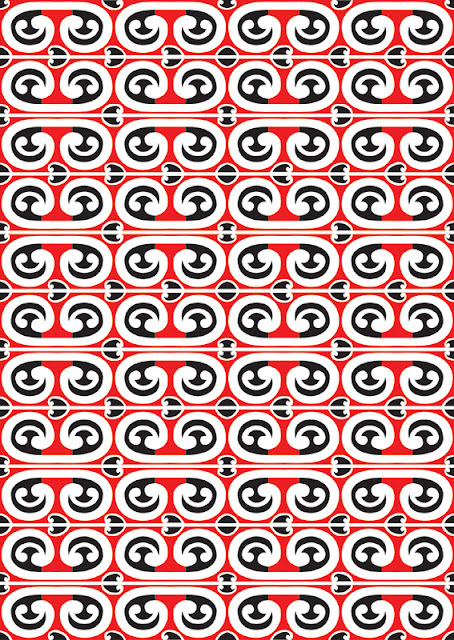 Designed using Adobe Illustrator 6, you will find little resemblance to traditional Kowhaiwhai patterns and instead you will see an often repetitive kaleidoscope simulation. 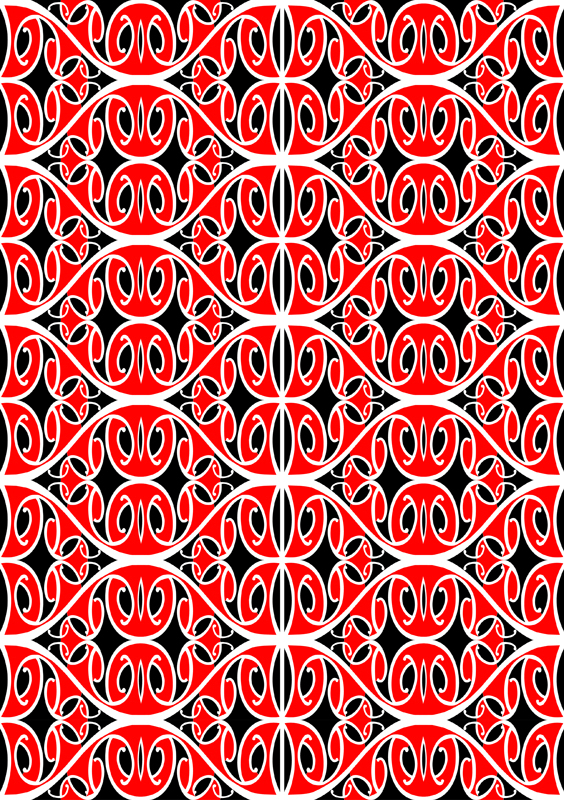 I've taken the traditional patterns of kowhaiwhai and removed a variety of shapes and patterned new shapes to create a myriad of images weaving positive and negative spaces. I don't believe for an instant that I have miraculously discovered a new link to the beginning of time or a divine principle in which to gage divine art and linked this to Koru, instead I have embraced a conceptual artistic geometric construct that will help me seek a divine method to my illustrations. Ultimately, my goal is to continue to experiment and strive for shapes and patterns that hopefully illicit in the viewer a reaction, an emotion, a memory, and especially to think about and discuss the relevance and importance of a legacy, which our Tupuna have created and nurtured which continues to inspire those in the 21st Century. Our Tupuna have always known this ancient link. Instinctively the Artist have always known this Golden Mean. 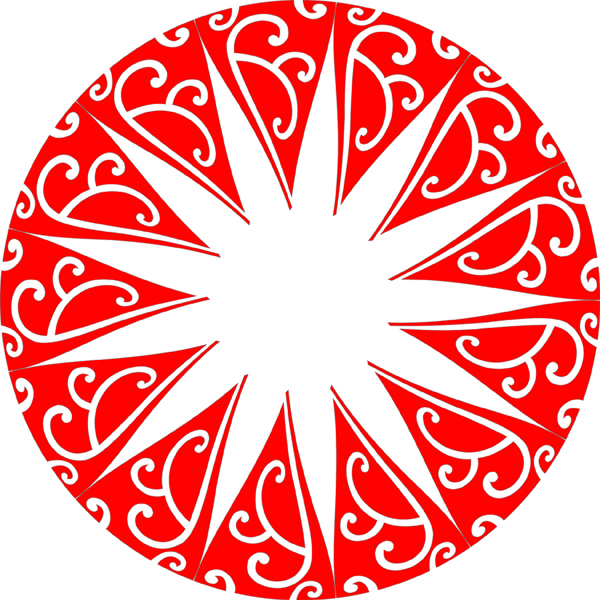 The work of Mitch Manuel can be found on a number of sites online including Toi Maori Aotearoa/Maori Arts New Zealand, Coroflot and Krop - Creative Database. Please be aware that the illustrations shown in this article, plus all those to be found on the links above are the creative property of Mitch Manuel and that they are therefore fully copyrighted. Your blog have really very different paintings. I really love your art work. Great job done.